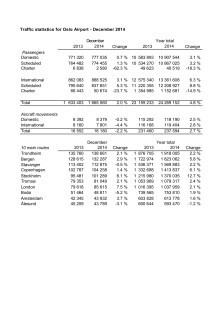 Passenger traffic to and from Avinor airports increased by 2.7 per cent in 2014, with passenger numbers totalling more than 50 million. Meanwhile, a levelling off trend is apparent - and some places have seen a slight reduction in the number of passengers. Traffic at Oslo Airport grew 4.8 per cent last year compared with 2013. “We had a good year at Oslo Airport. The number of passengers increased by more than 1.1 million (4.8%) from 2013,” says Managing Director Øyvind Hasaas. While traffic growth at Avinor airports topped 4.3 per cent in 2013, the rate in 2014 was one and a half per cent lower. The trend over the past few months has also shown several signs of a levelling off of traffic. 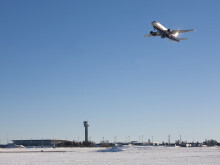 In December, overall growth at Avinor airports ended at 0.6 per cent compared with last December - and the previous month saw a slight decline in traffic. “Although a new traffic record was set in 2013 with over 50 million passengers at our airports, 2014 saw a clear trend towards a levelling off of traffic, which began last autumn. 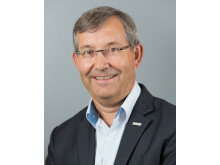 So the question is whether we are facing a prolonged period of slower growth and possible decline in traffic or whether the picture will change as the year unfolds,” says Avinor CEO Dag Falk-Petersen. While the December figures for the four largest airports showed growth for Oslo Airport (more than 2 per cent), traffic at the other three decreased slightly. “Passenger growth was strong for the first ten months, but slowed towards the end of the year. We saw growth in both November and December, but at a somewhat lower rate than expected. 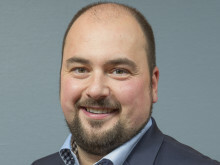 Flight schedules have been adjusted at several airports - and there is greater uncertainty in the market, due in part to low oil prices and how this will impact the Norwegian economy,” says Hasaas. The number of aircraft movements (departures and landings) for both Avinor and Oslo Airport rose by 2.7 per cent in 2014. In all, 24,269,152 passengers flew via Oslo Airport in 2014. In 2013, the figure was 23,159,233. Oslo Lufthavn AS is a wholly owned subsidiary of Avinor. The company owns and operates Norway's main airport, Oslo Airport, which is an important communications hub in Norway with approximately 24 million travellers and more than 235,000 aircraft movements per year. Prior to publication, it must be approved by Oslo Lufthavn AS. 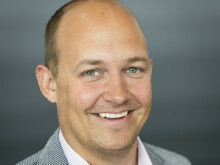 Picture of Mr. Andersen can be freely used in writings about Oslo Airport and adequate purposes if Oslo Airport are credited in the caption. Picture of Mr. Vangstein can be freely used in writings about Oslo Airport and adequate purposes if Oslo Airport are credited in the caption. After negotiations between the carrier Norwegian and the Norwegian Pilot Union failed to result in an agreement, 70 Norwegian pilots are on strike as of Saturday 28th of February. Domestic traffic at Oslo Airport fell in January, contributing to a decline compared with last year. 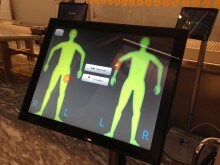 Oslo Airport will test security scanners this spring as part of a process to bring state-of-the-art security screening to Avinor facilities. Due to a political union strike, the air traffic to and from Avinor’s airports will be affected on Wednesday the 28th of January between 2:00-4:00 PM. Oslo Airport was well-prepared for this winter’s first major snowfall. Despite weak passenger growth, was Oslo Airport the largest of the Nordic airports in November. Avinor's Oslo Airport will become the world's first hub to receive regular deliveries of bio-fuel. Øyvind Hasaas started as Managing Director of Oslo Airport in August, and he has clear ambitions. “We must be one of Europe’s best airports for both passengers and airlines". Oslo Airport is the first airport in Europe to test a new method of marking runways and taxiways. 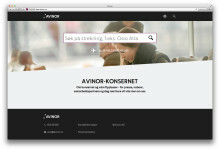 To make air travel easier, Avinor and Oslo Airport have launched a new website and simplified Wi-Fi access. Copyright © 2015 Mynewsdesk. All rights reserved. You haven't entered a correct link to your helper.html file for your Hosted Newsroom. Go to Publish and complete the steps.